Reading Transport Fleet List: 412-7 all entered service today and replace 1020-5. Reading Transport Optare Spectras: Former 708 wears temporary fleet number 4001 with Abellio, not 4000 as previously reported. Thanks to Ray Pettit for this. Courtney Buses Fleet List: New is Optare Solo SR Slimline YJ13 HKW. Enviro 200 demonstrator YX62 FDG has returned to Alexander Dennis. Thanks to Glenn De Sousa for this. First Berkshire Fleet List: 64012 has transferred to Bracknell. Thanks to Ricky Barnes for this. 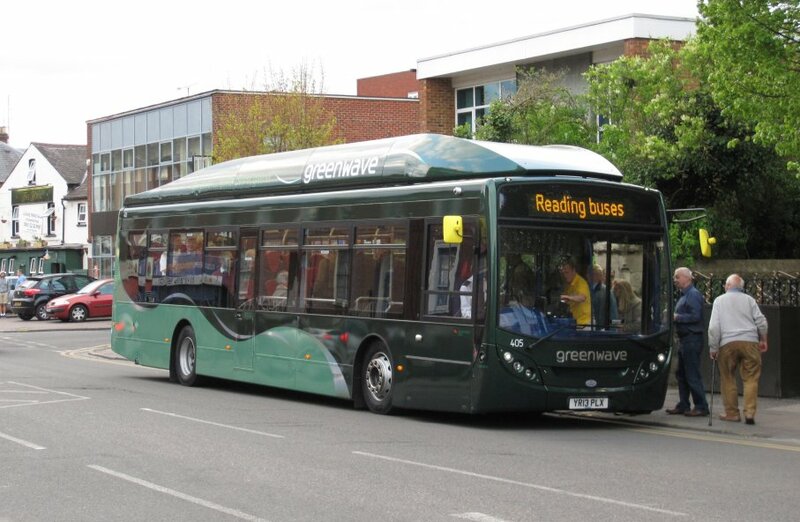 Reading Transport Fleet List: The results from the Green Bus Fund 4 will allow a further 14 Enviro 300SGs to be ordered for routes 2 and 22/23/24. 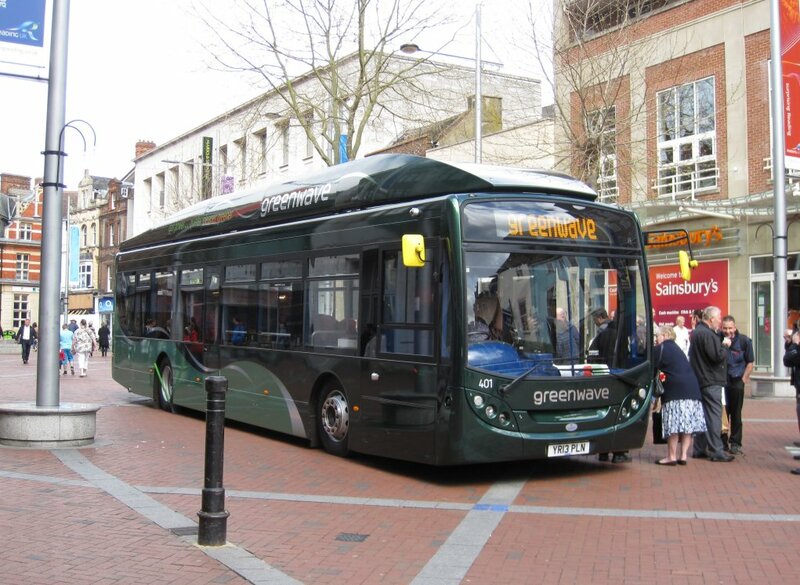 Reading Transport Fleet List: 713 appears to have departed for The Green Bus, Birmingham by 19th, although 711-3 are all expected to follow 708-10 to Abellio shortly. 559 was ready for service by 19th. Thanks to Brian Coney for this. Reading Transport ADL Enviro 300SGs: 418-20 arrived at the Scania dealership in Thatcham on 16th or 17th, 420 leaving Alexander Dennis in Falkirk on 3rd May for a spell at Scania's training facility en-route. Thanks to Brian Coney for this. 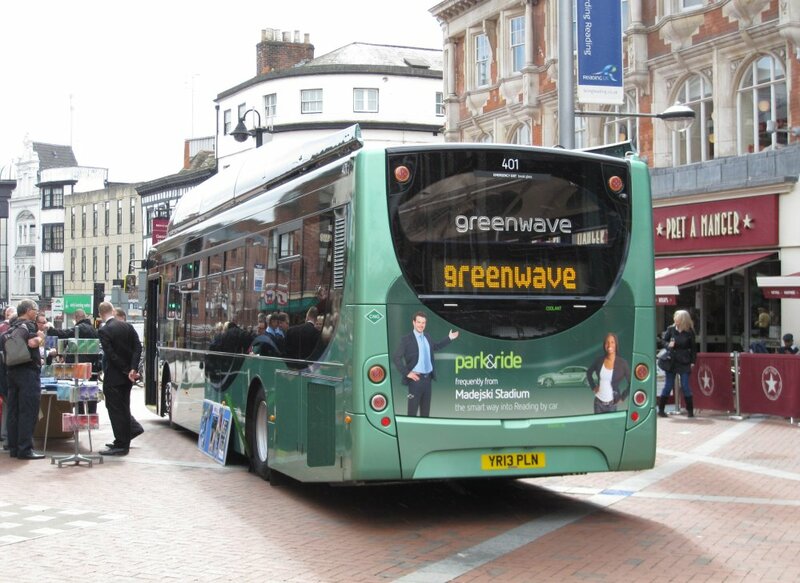 Reading Transport Wright Solars: 1026 went on loan to The Green Bus, Birmingham from 1st May and had returned by 11th. Thanks to Brian Coney for this. Reading Transport Scania OmniCity Single Deckers: 10 went on loan to Newbury from 9th or 10th until 17th to cover for 6. Thanks to Richard Haines and Brian Coney for this. Reading Transport Optare Spectras: Former 709 wears temporary fleet number 4002 with Abellio. Courtney Buses Fleet List: New are 7.2m Optare Solo SRs YJ13 HJX/Y. Thanks to Peter Beesley for this. YJ57 XWO has been sold, with YJ57 EKK for sale and due to leave soon. 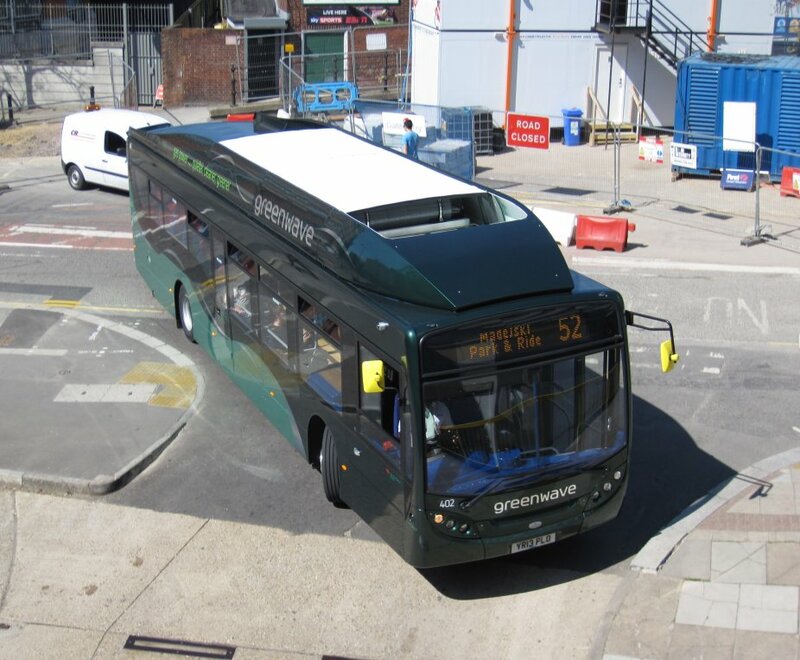 The results from the Green Bus Fund 4 will allow two hybrid double deckers to be ordered for the Milton Park shuttle. 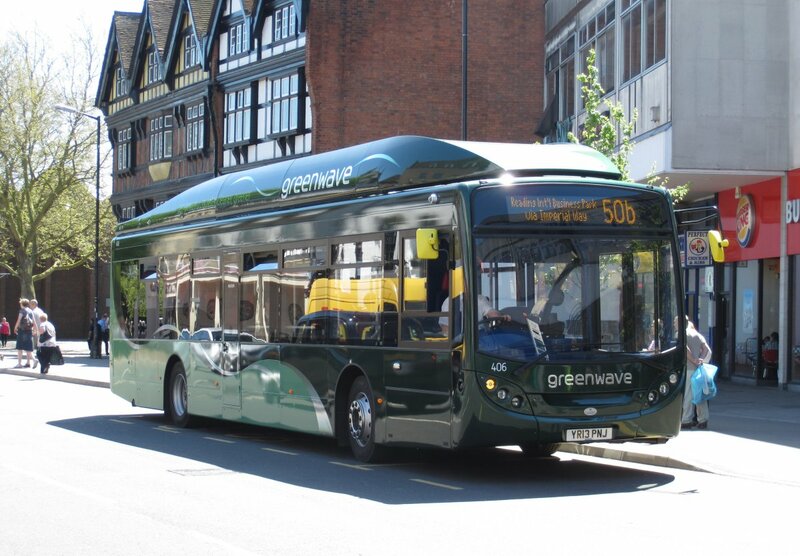 First Berkshire Fleet List: The results from the Green Bus Fund 4 will allow a further 5 single deck hybrids to be ordered for the 7-Series. First Berkshire Fleet List: 64012/3 have returned from repaint into a yellow Beeline version of the new First Urban corporate livery. Thanks to Stephen Le Bras for this. 64012 has initially entered service from Slough in this guise, pending transfer to Bracknell. Thanks to David Fuller for this. A photo of 64012 by Howard Pulling is here. Thames Travel Fleet List: Six new Optare Solos are on order for Bicester contracts. Four are expected by 3rd June with two others on loan. Thanks to Ralph Adams for this. Former Reading Transport / Weavaway YG02 FVV has entered service numbered 714. Thanks to Ricky Barnes for this. Weavaway Travel Fleet List: Five 59-registration Neoplan Tourliners have been purchased from Redwing Coaches, four are currently running in Redwing livery whilst the other is away for repaint. Thanks to Dale Scutter for this. B10 MBT has been on loan to the School Bus Company. Thanks to Ralph Adams for this. Stagecoach in Oxfordshire Fleet List: 47395 finally entered service on 20th. 47433 has been withdrawn for disposal. Thanks to Richard Sharman for this. Stagecoach in Warwickshire Fleet List: 34625 has lost its MegaRear for Arden Cancer Network. Thanks to Keith Wood for this. 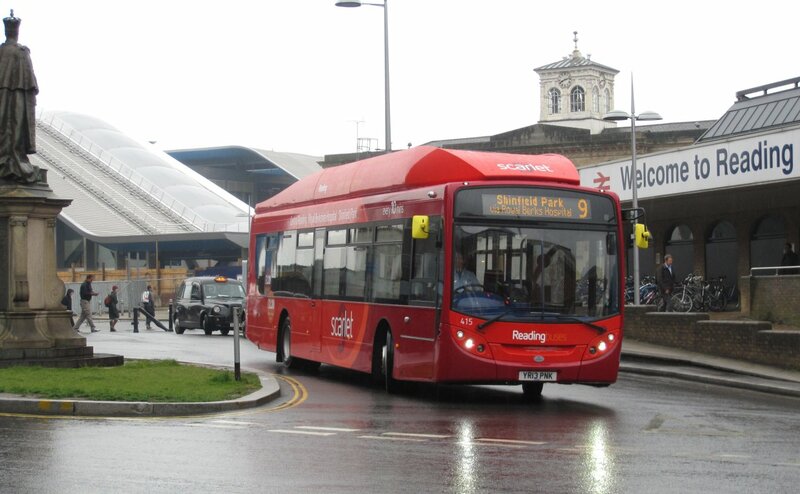 Reading Transport Fleet List: Registrations for 412-20 added. 412-17 will enter service on Scarlet 9 on 28th May whilst 418-20 are about to be delivered. 711 & 712 have passed to The Green Bus, Birmingham arriving there on 15th just leaving 713 still to depart. Reading Transport Fleet List: 409/10 had entered service by 10th. Thanks to David for this. 409 may have been in service on 8th also. 551 & 553 were in service by 15th. 1033 and two others have been advertised for sale along with 10-12. Thanks to James Cusworth for this. Courtney Buses Fleet List: The E200 demonstrator is actually registered YX62 FDG rather than DFG. Thanks to Glenn De Sousa for this. Thames Travel Fleet List: 106 has returned from repaint into blue/green with a similar arrangement to 109. 480 & 915-7 have been advertised for sale. Thanks to James Cusworth for this. Weavaway Travel Fleet List: RIL 5261 and TIL 1184 have not been withdrawn but remain in use. A further Volvo B10M / Plaxton Paramount that was acquired from Tappins but not previously reported is ECZ 3507. Thanks to Richard Sharman for this. Stagecoach in Warwickshire Fleet List: 47014 has lost it's MegaRear for Action for Children in favour of fleet livery. Thanks to Keith Wood for this. 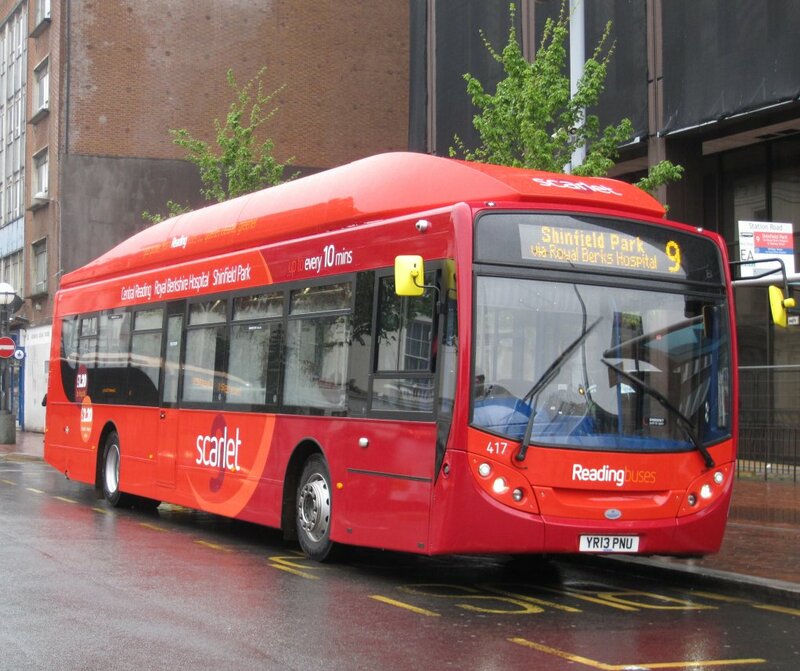 Reading Transport Fleet List: 1032, 1035 and 1037 were used in service yesterday. Thanks to James Cusworth and Steve Wickens for this. Reading Transport Transbus Enviro 300s: Former 972/3 have passed from Premiere, Nottingham to Ensign (dealer). The fate of similar 970/4 is not yet known since Premiere went into adminstration in January. First Berkshire Fleet List: The 10th hybrid to arrive was 69925 on 8th May. Thanks to Mat Wooll for this. In the current financial year a further two Volvo / Plaxton Panthers are on order plus 11 Enviro 200s for Slough expected the autumn to be numbered 44560-70. Thanks to Glenn De Sousa for this. Fleet Buzz Fleet List: 34253 is in plain white rather than fleet livery. Horseman Coaches Fleet List: Plaxton Cheetah RX12 HNT appears to have been previously incorrectly reported as HNP. Mortons Fleet List: A further tri-axle Olympian in the fleet is J28 KHT which was at Hants & Dorset trim for repaint into dark green in 1 April. Stewarts of Mortimer Fleet List: YN09 AOK/L left for Plaxton (dealer) in part exchange for YN13 BWP/V back in March. Thanks to Bus Fare magazine for this. Thames Travel Fleet List: 418 is B43F rather than B44F. Thanks to Graham Low for this. 105 has been repainted into dark blue, pending The Blue Bus branding. Thanks to Ralph Adams for this. Weavaway Travel Fleet List: YN10 ADV was reregistered W90 OOW in December. Thanks to Bus Fare magazine for this. Oxford Bus Company Fleet List: 862 has City fleetnames following it's return from Thames Travel. Thanks to Graham Low for this. Stagecoach in Oxfordshire Fleet List: 33652 returned to Oxford from loan to Banbury on 4th. Thanks to Martin Townsend for this. Oxford 33650 is on loan to Witney whilst 47395 is out of use. Thanks to Chris Maxfield for this. 20936 is on loan to Stagecoach Midlands. Withdrawn 33655 has departed for scrap in March. Stagecoach in Warwickshire Fleet List: 34627 has gone back on loan to Stratford from Nuneaton. Thanks to Martin Townsend for this. Reserve 34398 is in use at Stratford. 34642 has lost it's MegaRear for Wildmoor Spa. 47077 has been repainted, loosing it's Network Nuneaton branding and name Dagwood. Thanks to Keith Wood for this. Reading Transport Optare Spectas: Former 708 is using fleet number 4000 whilst on loan to Abellio. Thanks to Terry Wong Min for this. Fleet Buzz Fleet List: New is Optare Solo 47049 in Cango livery from Hampshire County Council. Stagecoach in Oxfordshire Fleet List: Four from 92973-7 were replaced by new Vauxhall Corsas yesterday, with the fifth due later this week. Thanks to Chris Maxfield for this. Reading Transport Fleet List: Registrations for 401-11 confirmed. Lothian Trident 553 arrived by 3rd May and 551 was expected today. 711-13 remain in service for the time being. 10-12 & 1037 were withdrawn after service on 3rd. Two from 1032-6 were withdrawn on 3rd and three on 4th. About half of the withdrawn Solars are to be sold to Rossendale, whilst others await sale. 1007-11 and 1012 will remain in the fleet on Vitality 2 for the time being. Reading Transport ADL Enviro 300SGs: 401-11 had all been delivered to Reading by 3rd, and 412-7 to the Scania dealership in Thatcham. 412-20 aren't likely to enter service for another 3 weeks or so. Reading Transport Fleet List: Eleven of the Enviro300SG are now to be in Greenwave livery, with 6 red, 2 bronze and 1 generic. A total of 14 had been delivered to Scania in Thatcham by 29th, with six present in Reading by 28th. Thanks to Brian Coney for this. Ten had been delivered to Reading yesterday. Courtney Buses Fleet List: YJ62 FMD/E have been repainted into lemon and lime primarily for routes 171/2. Thanks to Pay Pettit for this. First Berkshire Fleet List: 64012-21 are to transfer to Bracknell following repaint to replace 60162/4, 60219, 65602, 65620-25. Thanks to Keith Nason for this. Fleet Buzz Fleet List: 33003 is in use from Aldershot. Thanks to Paul Blackman for this. Stagecoach in Warwickshire Fleet List: 16516 has transferred from Stratford to Leamington in exchange for 16619. 27502 has returned to service at Rugby allowing 33453 to go into reserve. Withdrawn Rugby Megabus 52645 and 52659 have transferred to East Midlands. Rugby Megabus 53020 has been transferred to Glasgow in exchange for 54026.